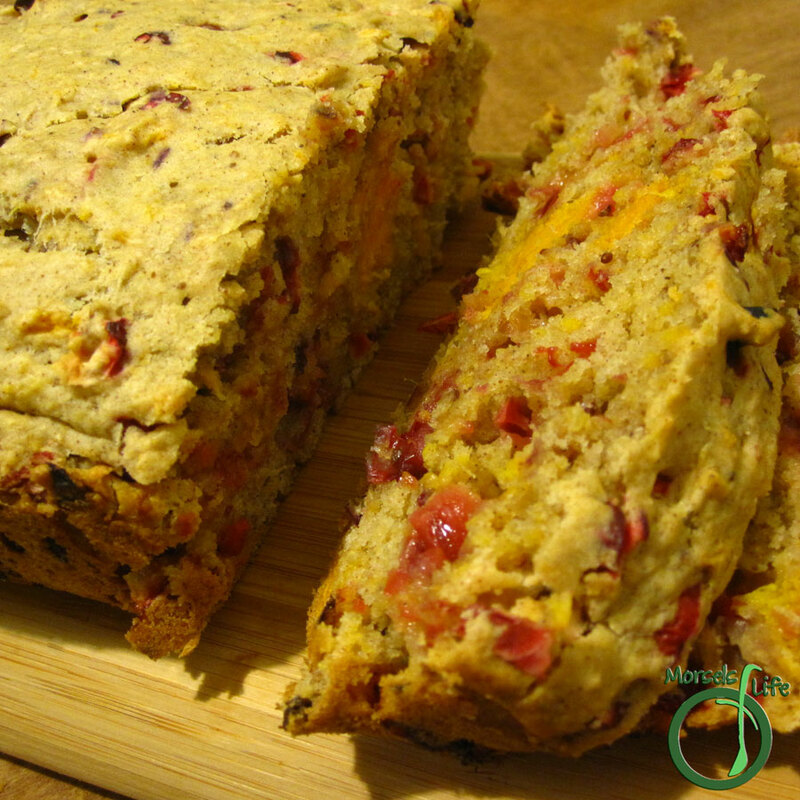 A sweet and tangy quick bread with cranberries and sweet potatoes. I still had some cranberries in the freezer, so I figured I'd make some Cranberry Sweet Potato Quick Bread. The sweet potatoes and cranberries make this bread look a bit festive - perfect for brightening up your morning just a bit. :) I'd even call this bread healthy - only a quarter cup each of butter and sugar per loaf. (You could go lower depending on your sweet potatoes and preferences. Plus, you've got cranberries, considered a superfruit, and sweet potatoes, ranked #1 in nutritional value by the Center for Science in the Public Interest. This bread tasted sweet and tangy on its own, but next time, I might add some chopped nuts for extra texture. What are some of your favorite bread flavors? 1.5 cups flour I used half whole wheat and half white. Form Dry Team by mixing flour, baking powder, cinnamon, and nutmeg. Form Wet Team by mixing remaining materials. Pour batter into greased loaf pan and bake at 350F until golden brown and delicious.